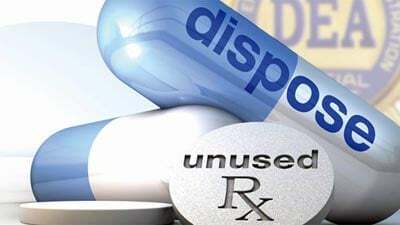 Mesa County, Colo. -- On Saturday, April 26, 2014, there were four sites across Mesa County collecting unwanted, unused, and expired prescription drugs. This was the bi-annual, no questions asked collection by local law enforcement in affiliation with the Drug Enforcement Administration (DEA). With a huge success seen across the Fruita Police Department, the Palisade Police Department, and the Grand Junction Police Department, as well as the Mesa County Sheriff's Office over 754 pounds of drugs were collected. The Fruita Police Department collected 87.2 pounds of unwanted or unused Rx drugs, the Palisade Police Department collected 24.2 pounds, the Grand Junction Police Department collected 182.60 pounds of drugs, and finally the Mesa County Sheriff's Office collected 460.6 pounds of prescription drugs. For the Sheriff's Office, the collected amount beat last years collection of 450 pounds. This collection makes this years event the most we've ever collected on one site. This initiative addresses a vital public safety and heath issue by removing unwanted or unused prescription drugs from homes across Mesa County. The DEA states that many Americans are not aware that medicine cabinets are highly susceptible to diversion, misuse and abuse. Rates of prescription drug abuse in the U.S. are increasing at an alarming rates, as area the number of accidental poisonings and overdoses due to these drugs. This prescription drug take back provides awareness and gives the opportunity for citizens to dispose of their unwanted Rx in a safe, responsible manner, and avoids them from being flushed down the toilet or thrown away which has major reprocussions on safety and heath. The Mesa County Sheriff's Office retains a permanent prescription drug drop of box in the front lobby, which can be accessed during business hours Monday-Friday. As a reminder, Mesa County Hazardous Waste Collection Facility will take: needles/sharps, over-the-counter meds, pressurized/aerosol and mercury containing items, free of charge to Mesa County residents, Thursdays through Saturdays from 8 a.m to 4:30 p.m..
We would like to offer our thanks to all citizens that contributed to this success in the prescription drug take back, and we estimate our next prescription drug take back will be in the fall of 2014. Mesa County, Colo. -- It will take time to develop a new policy about the best way to handle, or not handle, illegal immigration holds in our County jail, after an Oregon Federal Court Judge ruled a little over one week ago that inmates without criminal charges can't be held solely on ICE holds or detainers. For now, Sheriff Stan Hilkey has issued a directive in tangent with our Detention Captain, Steve Farlow, to not hold any suspected illegal immigrant in our custody without criminal charged pending. An ICE hold or detainer is essentially a civil process by the U.S. Department of Homeland Security Immigration and Custom Enforcement (ICE), that was above and beyond criminal charges assessed against a suspect from local, state and/or federal law enforcement. In mid-April 2014, a Federal Court Judge ruled it was a violation of a person's rights to be held solely on the ICE detainer after her criminal sentence was complete. Prior to this court ruling in Oregon, ICE officials routinely had/have local authorities across the country hold inmates suspected of being in the United States illegally, for up to 48 hours. Giving ICE agents time to take those suspected illegal inmates into their federal custody for illegal immigration and deportation to begin. Many Colorado sheriff's are having dialogue with ICE official about this change in practice, effective immediate in many counties in Colorado (and other states). It is the belief and hope of Sheriff Hilkey and the Detention Command staff in Mesa County, that a new policy will be created that will be adoptable by all sheriff's in Colorado puts us in compliance with the recent ruling and making our agency operations consistent with Colorado Sheriffs, in practice with regard to ICE holds/detainers. It is only realistic that it will take some time to formally address this change in operation in our county jail (and those across the state and nation). For the time being, Sheriff Hilkey is active in researching what possibilities and conversations among Colorado sheriffs is taking place, to address this issue proactively and in compliance with laws and court orders. Sheriff Hilkey is also exploring other ways to handle this change with other sheriff's in Colorado, which includes open dialogue with ICE officials. Right now, Mesa County Detention Facility has suspended any ICE holds/detainers without criminal charges assessed on a suspected illegal immigrant, in our facility. Stay tuned and remain connected on the updates surrounding this national and controversial issue. Mesa County, Colo. -- Since early in 2013, patrol deputies and now investigators have compiled at least a half a dozen cases involving local citizens reporting incomplete work done by a contractor. Financially, this is painful for local residents because they have pre-paid for large projects that continue to go incomplete. Due to the nature of and status of these cases likely being tied together, and the active status of these cases being worked by investigators, little details about the actual business and/or business owner can't be released at this time. However, a strong warning to citizens to follow through on a few steps when considering a large project around your home or business, to minimize your likelihood of becoming a victim. A victim with a loss ranging in the thousands of dollars, often times. Like any industry, business or person, the vast majority are legitimate and operate well. Consumers should always ask for references when considering a contractor's work. And, follow-up by contacting all references. Check business status with a local area Chamber of Commerce and through the Better Business Bureau. Consider using on-line resources like, Angie's List, Yelp and other citizen/consumer feedback sites. Ask people you trust for a reference regarding contract businesses they have personally used and had a great experience or excellent customer service. In addition, when giving someone unlimited access to your home or business (for the purpose of doing work), consider a criminal history background check. Those can be done through your local law enforcement agency, under Colorado Open Records Act, and usually for a small fee of about $5.00. Also, for a statewide criminal history check, you can do that online through the Colorado Bureau of Investigation, for a fee of $6.95. Bottom line, when considering a project needing a contractor, with a bill in the thousands of dollar range, take the time to vet the business before making a deal. Anyone who believes they may have been a victim of a similar experience in 2013 or this year, can call non-emergency dispatch at (970) 242-6707, to be contacted by the appropriate law enforcement agency to make an official report of possible theft. Mesa County, Colo. -- Just after 4 a.m. today, deputies were dispatched to the perimeter of the Mesa County Detention Facility on a suspicious incident, just shortly after a woman called dispatch to inform them she was en-route to the Detention Facility to demand her brother be released from custody. Patrol deputies located an abandoned vehicle between the Mesa County Justice Center and the Sheriff's Office, registered to Monique Armstrong, 20, of Grand Junction. While almost simultaneously, Detention deputies were investigating the cause of the jail perimeter alarms activated. Monique was located inside the chain link fence and razor wire that surrounds the Mesa County Detention Facility, as a deterrent to anyone accessing the surrounding grounds or attempting to flee the facility. She is suspected of breaking a jail pod window and then asking deputies (again, and this time in person) to be arrested and booked into jail. Based on the suspected crimes committed by Monique, the deputies obliged her without any further incident. Monique, identified her brother as Michael Armstrong, 18, who was arrested by Grand Junction Police officers on the night of April 27, 2014, for his second (in a two week period) DUID--Driving Under the Influence of Drugs, along with driving the wrong way on a street and possession of drug paraphernalia. Michael posted bond and was released from the jail at 8:50 a.m., today. Monique was booked into the jail on criminal trespass, criminal mischief and violation of bail bond conditions (associated with her arrested on March 22, 2014, charged with two counts of theft and first degree criminal trespass). She is continuing through the booking process and her most recent booking photo will be posted here when it is available. For bond information on any inmate in our facility, visit our Inmate Inquiry System webpage. Mesa County, Colo. -- On April 12, 2014, a deputy took a report from two victims about a theft from automobile incident that had taken place at the Pollock's Trail parking area, located south of Fruita. The two victims--friends, had went hiking in the area for about two hours, returning to the vehicle to find a window broken and personal property of both victim's missing. The combined worth of the stolen property was estimated at over $1,600.00, along with the estimated cost of damage to the vehicle being about $1,000.00. The case moved forward a few days and deputies were contacted by local bank's fraud investigators after debit/credit cards were attempted to be used in multiple locations, associated with the victim's in the theft from auto case reported on April 12. The bank fraud investigators and local merchants, where the stolen debit/credit cards were attempted to be used, were able to provide images of an adult male attempting to use the cards. A surveillance image of that adult male was place on our agency's Facebook page for citizens of Mesa County to assist with identifying the suspect. Fruita Police Department officers were dispatched to the residence of Seth J. Burkholder, 31, and John Defalco, 25, both of Fruita, for a reported disturbance on April 24, 2014. The Fruita officers connected John to an active warrant and were able to arrest both Seth and John without incident. Seth and John were booked into the Mesa County Detention Facility today on charges related to fraud/identity theft, first degree trespass, theft and criminal mischief. John was also booked into the jail on the outstanding warrant. Thank you for the assistance of our law enforcement partners with this case and arrest, from Fruita Police Department, and thank you to our active and helpful citizens in Mesa County! The arrest of these two suspects is a great example of citizen engagement and community policing working to keep our County safer. The investigation into the personal items of two local German tourists being stolen from their rental vehicle while hiking in the same area, remains open. For bond information, when it is available, visit our Inmate Inquiry System on our website, anytime. Also, follow us on Twitter for emergency tweets @SheriffMesaColo using #GVCopBeat and #MesaCounty. Mesa County, Colo. -- Patrol deputies took a report of a rental car window being smashed out while the car was parked yesterday at Rattlesnake Canyon Trail Head. The rental car was being used by two European vacationers who had everything for their camping and hiking trip in the car when they headed out earlier in the day for a majestic experience in Western Colorado. What they found on their return was more than $4,000.00, in personal items stolen, leaving them with only the clothes on their back. Their camping tent and sleeping bags were left at their camp site in the Colorado National Monument and they had a few personal items, like money and passports with them in a small backpack they kept with them during their hike. But a change of clean clothes, a windbreaker jacket or some non-sweaty shoes and socks...forget it. All stolen by a thief who took advantage of the remote location of the trail head parking lot. Andres Haller and his girlfriend Natacha Noirclere, both 53, of Stuttgart, Germany, spent the night in a hotel in Fruita. And with the assistance of a Sheriff's Office Victim Advocate, they spent most of today refilling prescriptions and getting a new rental car. That wasn't enough for patrol deputy Ben Marsh, who took their report last night and couldn't shake the unbelievable turn of events for this couple vacation through the most beautiful parts of our Country. Deputy Marsh and Sandy, our agency victim advocate, were strong in their conviction that this very unique circumstance and unfortunate situation could be slightly remedied with some assistance in replacing clothing and and hygiene items that would allow them to finish their vacation. Insert social media and local media, who through a simple message about this situation on Facebook (posted at 10:30 p.m.) turned the word out to our community that these two travelers needed some Western Slope hospitality. The Sheriff's Office has collected $730 in cash, multiple suitcases, hygiene items and some basic clothing. The Records staff at our agency's front counter graciously started collecting and answering citizen questions, pitching in with enthusiasm to help this couple, as well. The largest thank you goes out to our community and our local media, Town Square Media radio, MBC radio, KKCO/KJCT and KREX, along with the Daily Sentinel newspapers who all put the word out early this morning about this unfortunate experience. Donations will still be accepted until 2:30 p.m. today, at the Sheriff's Office main lobby, located at 215 Rice Street, Grand Junction. Any donated items that don't get used by our travelers will be donated to a local charity. We sincerely thank everyone who assisted us in showing Natacha and Andres what our community really stands for. The pharmacy in Walgreens, Fruita, spent a considerable about of time assisting this couple with replacing their stolen prescriptions and Operation Interdependence donated a large amount of hygiene items. Please thank these organizations next time you see them for their efforts. Mesa County, Colo. -- The daily report listing those adults booked into and released from the Mesa County Detention Facility in the last 24 hours, is posted daily on our agency website. Two arrests from the report released today, include a male charged and booked into jail by deputies with the Street Crimes Unit on meth and bail bond violation(s). The other, a male charged with child abuse, robbery, burglary, theft and more. Larry Dixson, 23, of Mesa County, is suspected of entering a home in Clifton on the night of April 5, 2014, without permission. The suspect reportedly assaulted three people who were in the home and stole item(s) from the house, then left the home. The residents/victims, through social media and eventually a photo line-up provided by deputies, were able to identify the suspect as Mr. Dixson. Patrol deputies located Mr. Dixson at 1802 Highway 6 & 50, just after 1 p.m., yesterday where they arrested him without incident on five misdemeanor and two felony charges related to this case. Deputies with the agency's Street Crimes Unit observed traffic infractions by a driver in a Jeep Cherokee in Orchard Mesa, yesterday. A traffic stop was conducted and the driver (and only occupant of the vehicle) was identified as Darren Caldwell, 43, of Grand Junction. He was arrested for driving on a revoked driver's license, at which time about a half gram of methamphetamine was located in his possession. Darren was also confirmed to be out on bond, associated with a previous arrest (case 14CR166), with bond conditions stipulating he not commit any new felony crimes and/or have or use any controlled substances, etc. Darren was arrested and booked into the jail on five new charges. For updated bond information on any inmate in our jail facility, visit our Inmate Inquiry System webpage. And, for other emergency updates from Mesa County, follow us on Twitter @SheriffMesaColo using #GVCopBeat and #MesaCounty. Vicki Boren, 46, of Grand Jct. Mesa County, Colo. -- The Street Crimes Unit deputies contacted 46-year-old, Vicki Boren, of Grand Junction, on April 3, around 4:30 p.m. in the area of Grand Mesa Avenue and Dolores Street, in Orchard Mesa. Vicki was booked into the Mesa County Detention Facility on one felony charge of possession of methamphetamine and one charge of possession of drug paraphernalia. What initially was a traffic stop, led to two Rifle residents being arrested on April 3, on Highway 50, around 5 p.m. Deputies booked Rebecca Raifsnyder, 28, and Jacob Murdock, 29, into the jail on charges related to possession of methamphetamine, possession of drug paraphernalia and multiple charges of violations of bail bond conditions. Jacob also was charged with speeding and criminal impersonation. Both remain in custody with their next court appearances scheduled for April 10, at 8 a.m. Rebecca's bond was set at $3,000.00, cash or surety and Jacob's bonds were set at $3,000.00, cash only and $12,500.00, cash or surety. *Note: Surety refers to using a bail bond agent/company to insure your appearance in court. For information on any inmate currently in custody in our jail, visit our Inmate Inquiry System webpage. And, for other county-wide emergency updates, follow us on Twitter @SheriffMesaColo using #GVCopBeat and #Mesacounty. 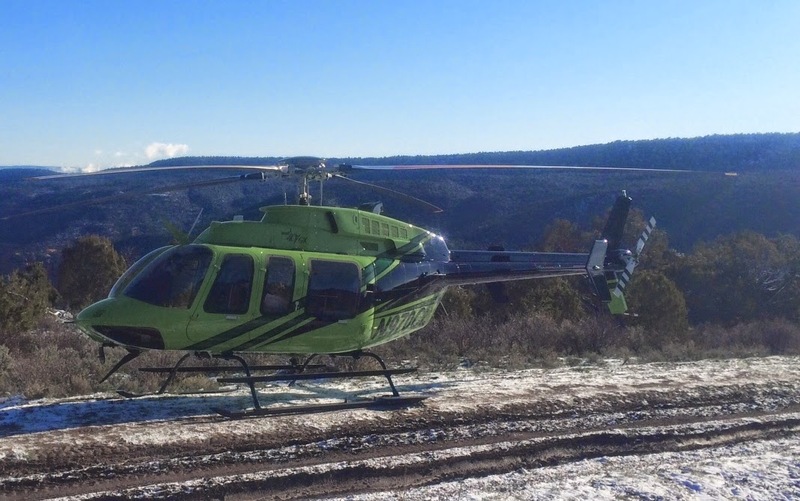 Mesa County, Colo. -- On April 5, a 17-year-old female and two adult accomplices were arrested for the theft of a large amount of fencing materials from a property on 33 Road, located in Mesa County. The owner of the fencing materials estimated the value of the stolen items to be approximately $2,800.00 to $5,700.00. From detailed eye witness accounts of the theft and information from a local recycle facility where the suspects are believed to have sold the stolen materials as scrap metal, deputies were able to contact and arrest John Stene, 24, of Clifton, and Sierra Sherman, 21, of Clifton, along with the 17-year-old female. All three suspects were charged with third degree trespassing and theft, a class six felony. In addition, John was charged with a class four felony for contributing to the delinquency of a minor, related to the 17-year-old's suspected involvement in this incident. *Note: The juvenile female is not being named in accordance with Colorado Open Records Act, C. R. S. 19-1-304 (b.5). John and Sierra were previously arrested together by interstate interdiction deputies in January 2013, in Mack, and charged with possession of methamphetamine and distribution amounts of marijuana, drug paraphernalia and tampering with evidence. For updates on any inmate in our Mesa County Detention Facility, visit our Inmate Inquiry System website. And, for other emergency related updates from across the County, follow us on Twitter @SheriffMesaColo using #GVCopBeat and #MesaCounty.